DJ CarlsBad is a genre-bending open format DJ who began DJing prior to the formative years of Chicago House Music in the early 1980’s. Hailing from Chicago’s north side and having worked alongside some of Chicago’s most legendary DJ’s, DJ CarlsBad was exposed to and was known to play a large variety of musical genres. He was never satisfied with settling on just one style. He is an eclectic DJ who stays true to his motto by “playing what he wants, when he wants.” This eclectic style is most evident in his mixes where he can be found mixing genres in a way that shatters the traditional idea that mixes be grouped by genre. The listener will be taken on a musical journey and there is no time to be locked to a genre when the party is packed. DJ CarlsBad breaks the rules and you never quite know what to expect next. It may very well be a song that you love but never thought you would hear in a mix. 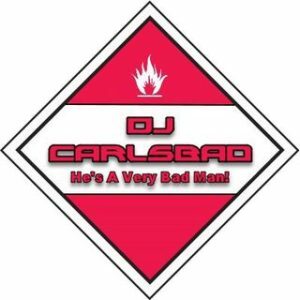 People don’t limit their genres, so why should DJ CarlsBad?